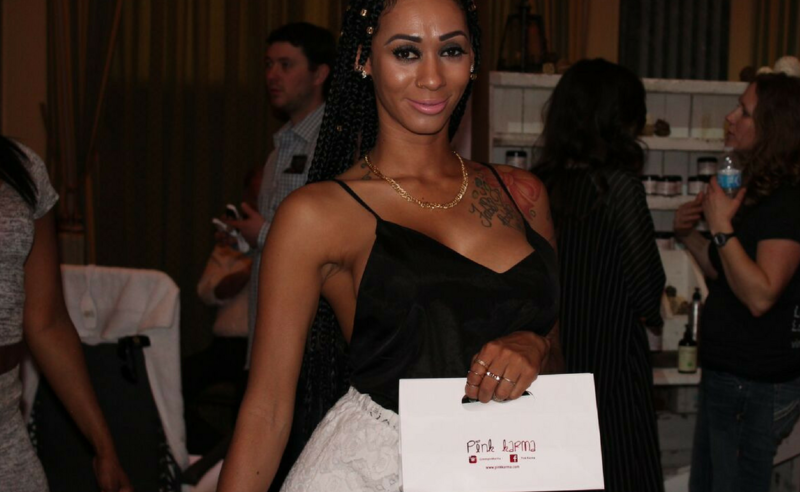 The LA Fashion Magazine: "Pink Karma...along with other emerging designers"
Natty Walk: "Oh and I can't forget that amazing jewelry from Pink Karma which I saw on one of their tables and wanted to try one. Pam Favero founder of Pink Karma herself gifted me a beautiful necklace with handmade work. Her jewelry reminds me of spring and summer, puts you in a positive mood all day. Pink Karma jewelry goes well with anything you would wear, jeans or floral dresses." 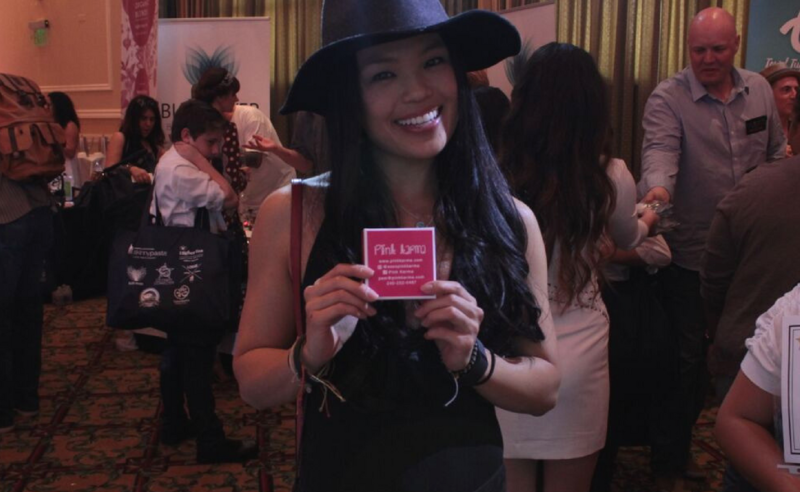 -Oscar Gifting Suite Event Brings Numerous Celebrities and Diverse Companies Together in Hollywood. Actress, Gatlin Green is all smiles with her new Pink Karma exclusive Mermaid Necklace from The Oscars 2016. From USA Network's reality television series Chrisley Knows Best, Savannah Chrisley, Todd Chrisley, and Lindsie Chrisley take their first look at our new jewelry collections, Makin' Waves and Rock the Bling. Disney Stars from the television series 'Good Luck Charlie', Mia Talerico and Leigh-Allyn Baker, try on pieces from their favorite Pink Karma Collection Rock The Bling. Actress, Jordan Ladd has trouble deciding which piece to try on first, from our new jewelry collections Rock The Bling and Makin' Waves. Actress, Nikki SooHoo shows off her new Pink Karma exclusive Mermaid Necklace from The Oscars 2016. Jennelle Evans, from MTV's reality television series Teen Mom 2, does a double take when she sees our display. 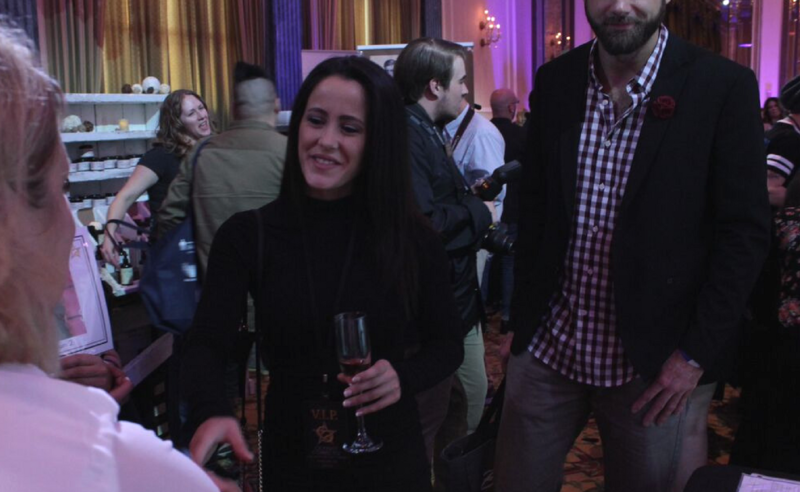 She and her boyfriend, David Eason, stop to meet our owner and designer, Pam Favero Mills. 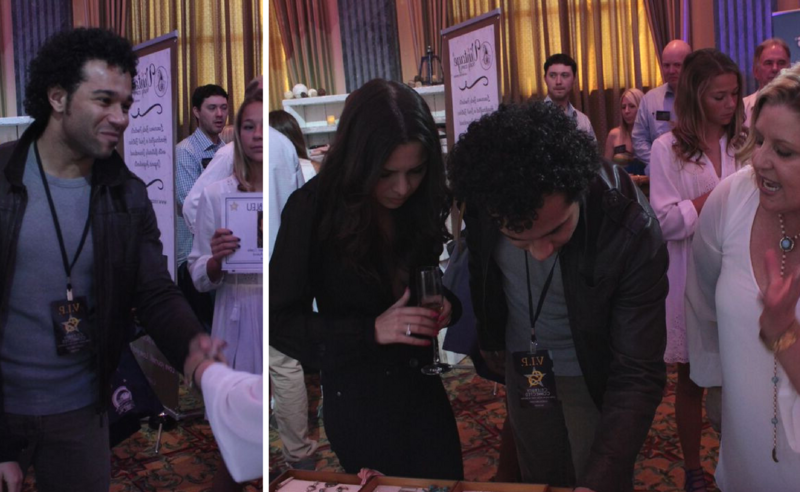 Disney Star Corbin Bleu, from High School Musical, and his wife Sasha Clements discuss the inspiration behind the designs from Pink Karma’s jewelry line. Sasha enjoyed trying on the rings from the collection Rock The Bling while Corbin couldn’t get enough of the Bad to The Bone necklace from the collection Makin’ Waves. Karlee Perez, also known as Maxine from WWE, strikes a pose with her new Pink Karma exclusive Mermaid Necklace from The Oscars in 2016. Ming-Na Wen, from ABC Marvel's television series Agents of S.H.I.E.L.D. and the voice of Disney Princess Mulan, loved her new Pink Karma exclusive Mermaid Necklace from the Oscars 2016 so much that she had to put it on right away. Singer and Songwriter, Shaylen Carroll had trouble deciding which of our signature style necklaces to try on first. She was ecstatic when we gifted her our exclusive Mermaid Necklace from The Oscars 2016. From VH1 and Style Network, Amber Laura strikes a pose with her exclusive Pink Karma Mermaid Necklace from The Oscars 2016. 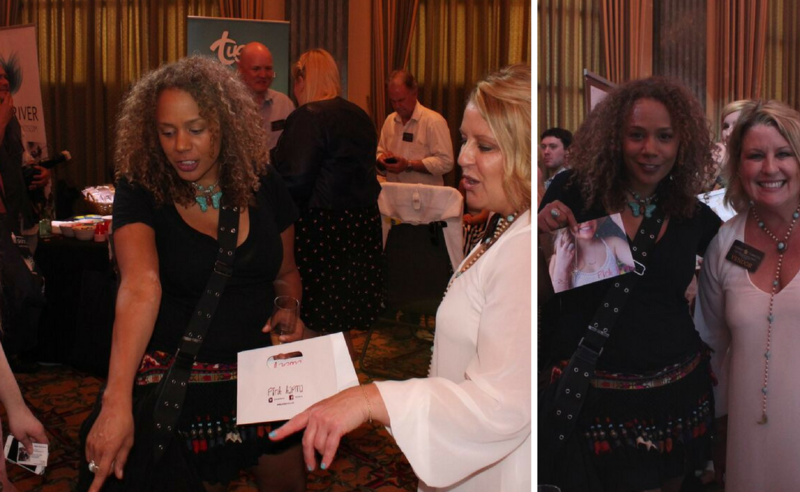 Actress, Rachel True oohs and aahs over our new jewelry collections Makin' Waves and Rock The Bling. 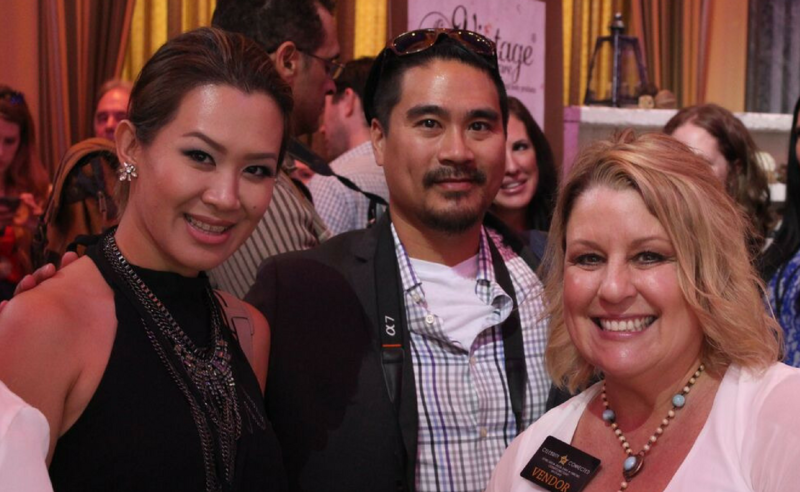 Ann Le, LifeStyle Vlogger, poses for a photo with our owner and designer, Pam Favero Mills.